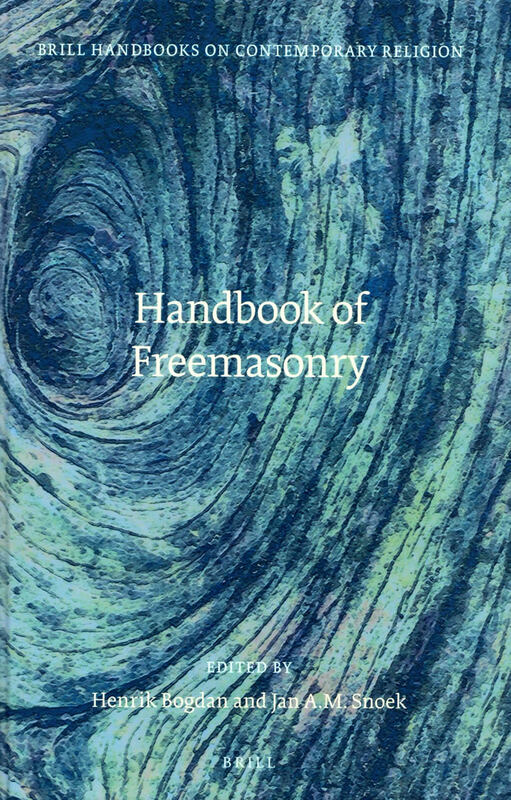 This large volume, containing 31 chapters, on many aspects of Freemasonry, is Number 8 of a series of Brill Handbooks on Contemporary Religion. 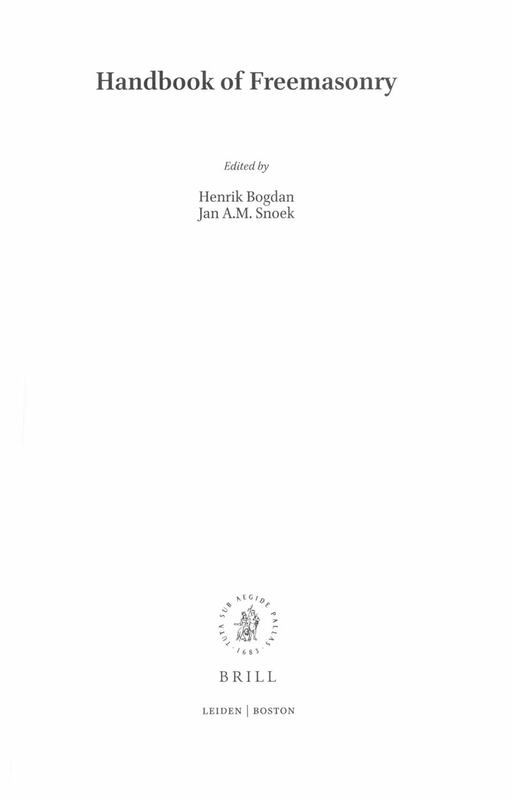 Chapter 30 (557-605), contributed by Curl, is concerned with Freemasonry and Architecture, a topic which has exercised him in his two major books (1991 and 2011), numerous lectures, and many papers on the subject. 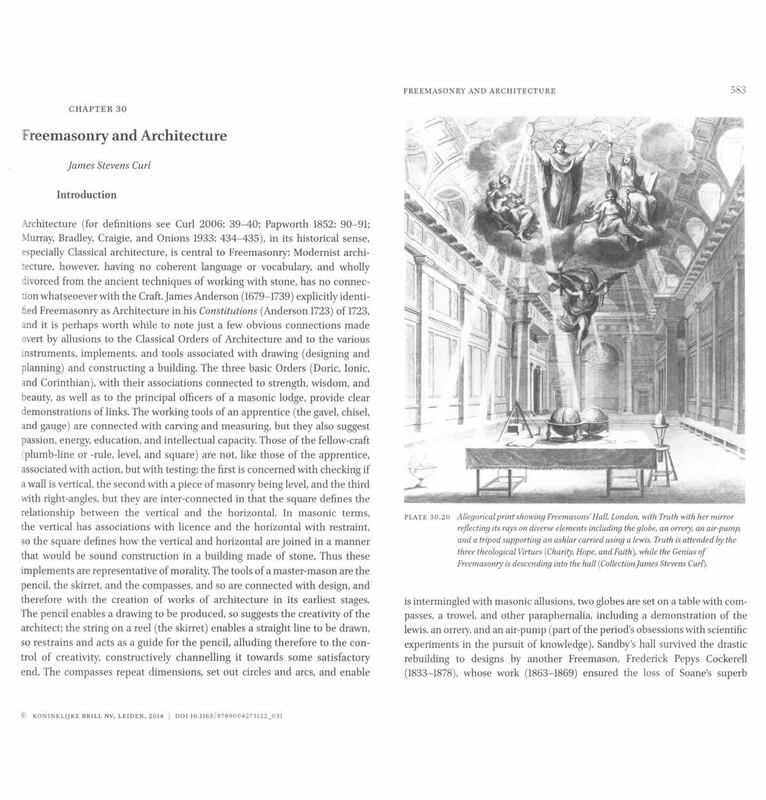 The essay argues that Architecture, in its historical sense, especially Classical Architecture, is central to Freemasonry, but that Modernist Architecture, having no coherent language or vocabulary, and wholly divorced from the ancient techniques of working with stone, has no connection with the Craft, and indeed is devoid of any real meaning. 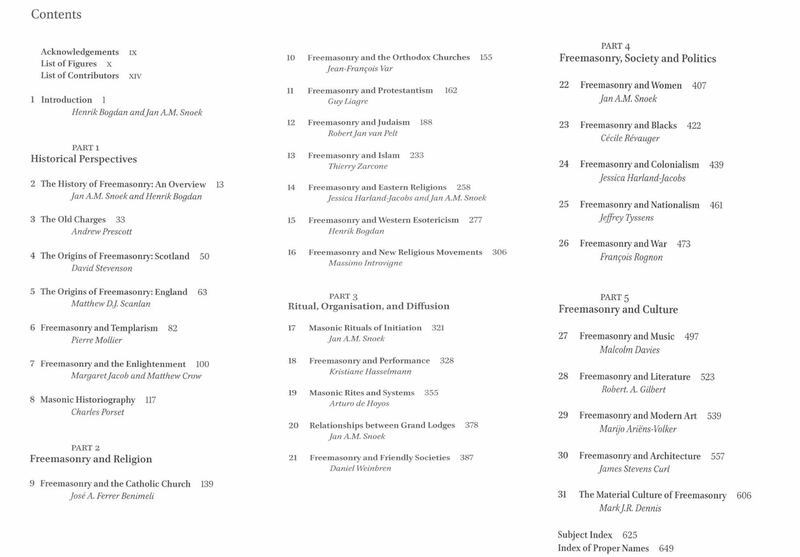 Ranging over the symbolic significance of tools and instruments, the Lost Temple of Solomon, Geometry and Architecture, the work of certain architects known to have had connections with Freemasonry, buildings in gardens, monuments, and the importance of Death and contemplation of Mortality. It shows that many buildings have meanings and reasons for being there that elude most observers today, when contemporary architecture, devoid of symbolism and any coherent language, cannot communicate in a world dominated by the Modernist Dystopia.